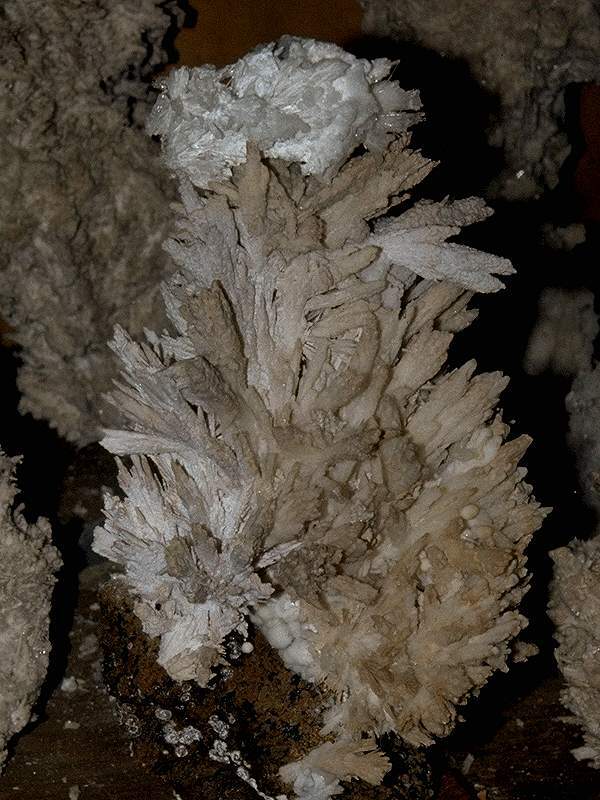 Image: Aragonite crystals from Gran Canaria. Color: colorless, white, gray, yellowish white, or reddish white. 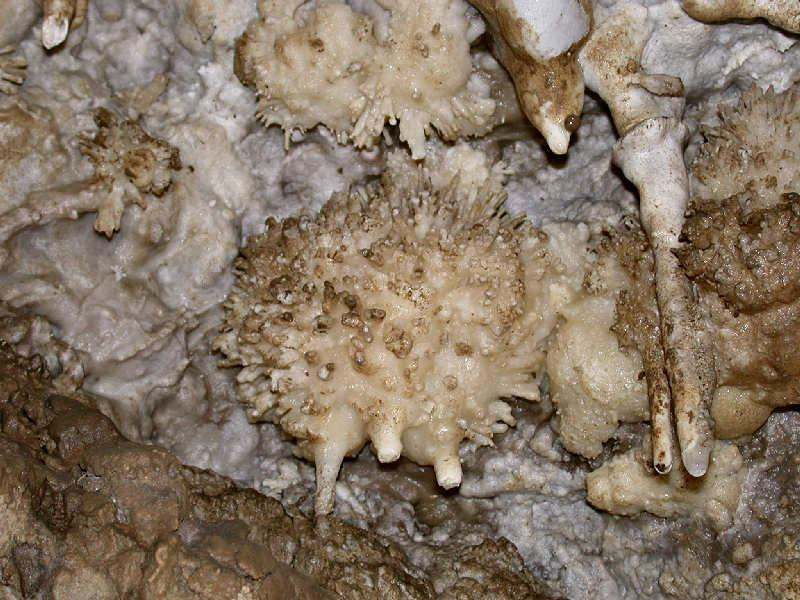 Image: aragonite hedgehog, Ravenska Jama, Slowenia. Aragonite Crystals are calcium carbonate or limestone (CaCO3) in its mineral form. There are two possible forms of calcium carbonate, the other one is called Calcite. Aragonite is named after Aragon in Spain, where it was first described (locus typicus, type locale). But it is rater common and found worldwide. It is also common in caves, but it is much less common than calcite. Aragonite has a different crystal system, which is caused by another spacial structure of the sameElements. It can be distiguished from calcite by its greater hardness and specific gravity. The crystal system depends on the chemical and physical conditions whilst the growth of the crystals.